On Tuesday, gorgeous boy turned four. 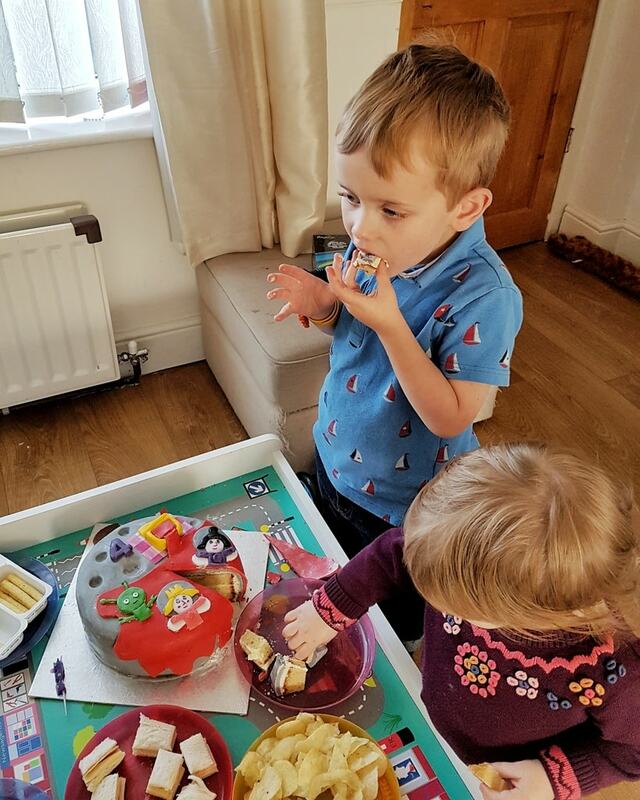 He is absolutely obsessed with Ben and Holly’s Little Kingdom, and so he requested a birthday cake made to look like ‘a jelly flood on the moon’. This was no small task but, knowing how delighted he would be, I set to work in order to create the Ben and Holly cake of his dreams. It is an excellent recipe for any birthday cake as the sponge is firm enough to take the icing but it is also deliciously moist. I think it turned out pretty well! 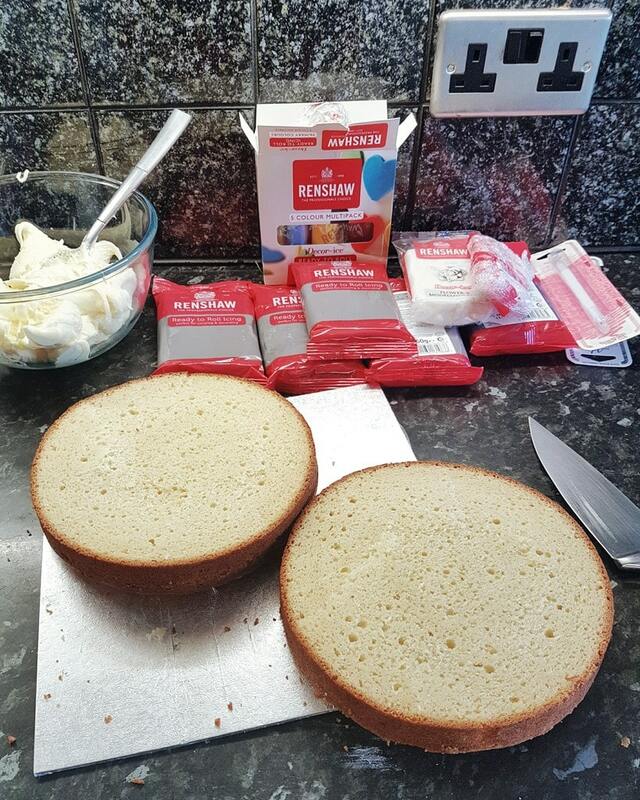 Unfortunately, I didn’t notice that the camera stopping working when I put the grey fondant onto the cake, in case some were wondering why that part is missing! What do you think of our Ben and Holly cake? 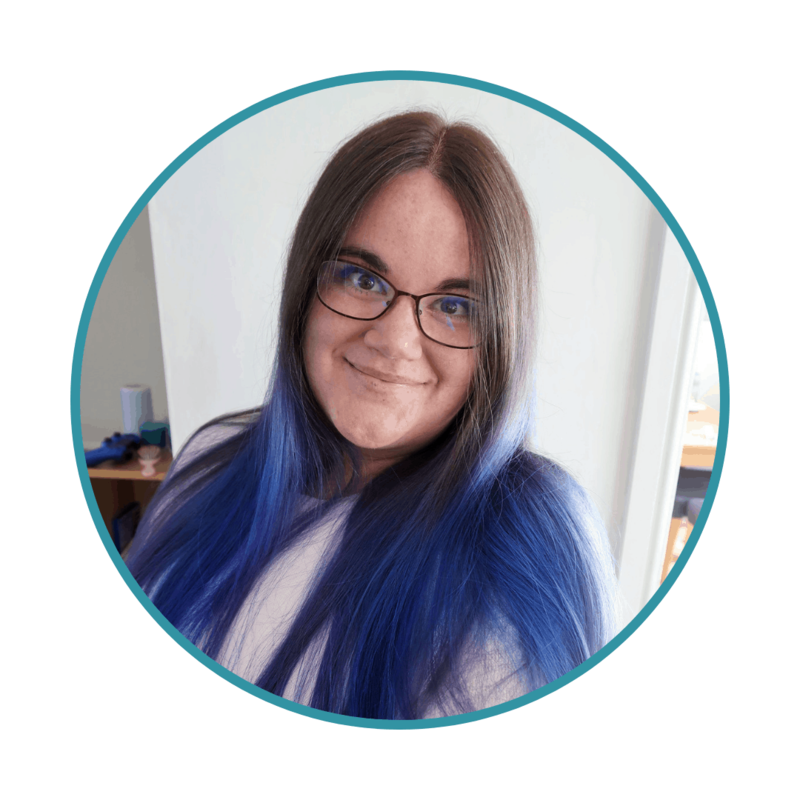 I call it “The sea of tranquillity is now the sea of jelly!” Let us know in the comments. If you liked our video, please so subscribe to our YouTube Channel. I believe it’s Jelly Flood on the Moon week on the Great British Bake-Off next week! Ah well done it looks brilliant! 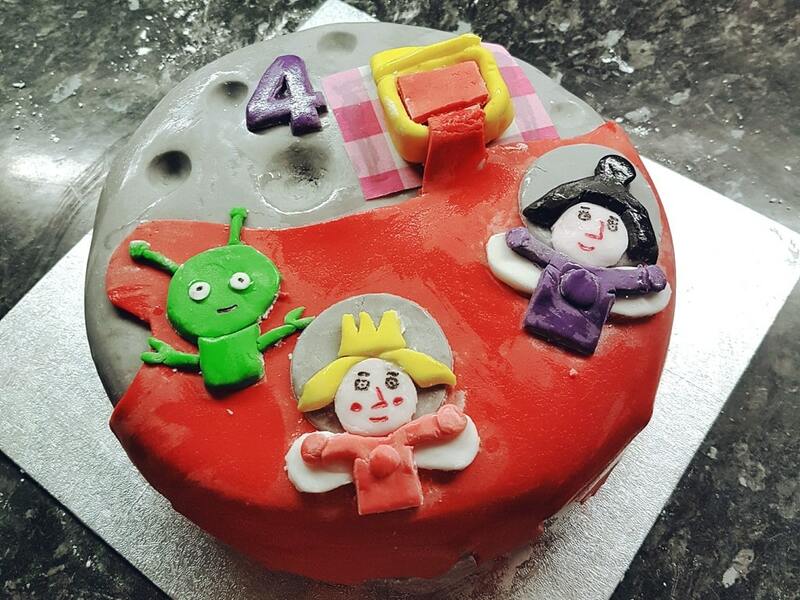 My youngest is loving Ben & Holly at the moment… She would love this cake. Her birthday is in February so if she still likes them then I may follow your example. Wow, looks great and it looks like it was thoroughly enjoyed too! Happy birthday to your little man! Looks like you slayed the cake making mama! So cute! I love making and decorating cakes and this one is just adorable. 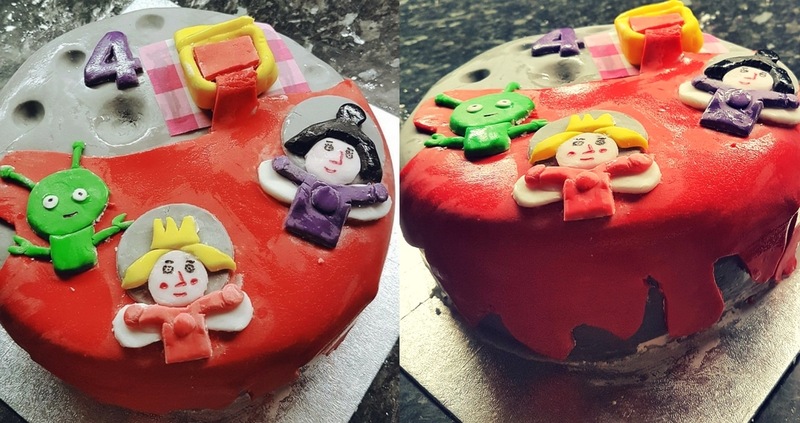 Isn’t it fun to give your kids the cake they REALLY want?! Step aside Mary Berry! That cake is stunning! I love BBC recipes they are so good! Looks like there was lots of fun eating the cake – yum! Ahhh it’s a great cake! I’m glad he enjoyed it.